This question is usually asked after an accidental format where a drive letter and the folders and files which it contains has been lost. The safest methodology to recover the file and folder structure from a format disk is data recovery, executed in a manner which preserves the drive content until a copy of the missing file and folder structure has been made. If you are in the predicament where you need to unformat a drive, then most probably at this very time you have the problem drive currently connected as a second drive in your computer. This is OK, as in its normal operation Windows is unlikely to try and write data to a drive other than the C:\ (and it is not able to write data to a drive which does not have a valid formatted partition on it). By not writing to the drive you are essentially not making things worse. The best methodology to "unformat" a drive is to recover all the data from it to a separate drive, and then once you are sure that you have everything saved, reformat the problem drive, and copy or re-install the files back onto it for a clean start. 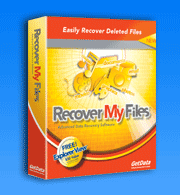 To recover the data, download Recover My Files. You will need to run a "Recover Drive" search. For detailed information read these drive recoveryinstructions. Using Recover My Files in Evaluation Mode, at the end of the search you will be able to view your file and folder structure in "Folder View" of the search results screen. Click on the files listed in this view to preview their content in the preview window. If you can see your pictures and documents, then they can be successfully recovered from the problem drive to another storage device once the program is activated. If you are a user who likes to take control of their computer, chances are you have used Microsoft "Format" command. If you are not a technical user, you will most likely come across the format command when upgrading Windows from one version to the next, installing a new hard drive, or pressing the wrong button on your digital camera. Partitioning a hard drive is to divide it into designated storage areas sometimes referred to as drive "volumes". Partitions are created in DOS using the "FDISK" command, but there are also other programs which run under Windows that can create and manage partitions. We recognize partitions in our day to day use by the drive letter names that Windows gives to them, i.e. C:\, D:\, E:\ etc. Once a partition has been created, the partition needs to be formatted to prepare it to store files. There are different Formatting options available. The most common types are to format the drive with a Fat32 or NTFS file system. Choosing the right file system to use is not an easy decision. Different factors can effect your decision and trade offs always apply. Essentially the choice of file system comes down to: Security, Compatibility, Storage Space Efficiency and Reliability. NTFS is Microsoft's most recent file system, and in terms of security, space efficiency and reliability wins hands down over its per-predecessor, FAT32. However, NTFS formatted drives have one major drawback. They are not recognized by Windows 95/98/Me. If you don't use these older operating systems then you can move with the times and NTFS is the format for you. So why has Fat32 not been replaced by NTFS altogether? Well the primary reason for this is backward compatibility. There is now a huge market for external storage drives, and to make sure they work out of the box they need to plug into and work with any Windows Operating System. Hence external hard drives are almost always formatted FAT32. The essence of formatting a storage drive is that the format sets up the ability from the Windows Operating system to store information about individual files, and track the location of each file on the drive. When a Fat32 format is applied, at the start of the disk a "File Allocation Table" is created. In NTFS, this table is called the "Master File Table". The job of these tables is to tell Microsoft Windows the exact storage locations of the files on the disk. For example on an NTFS drive, a file has a MFT record, which tells the Operating System the name of the file and which storage clusters on the disk the file is held. This way the Operating System call quickly look up the MFT at any time to find a file, much like looking up the index of a book". What happens when I re-format my drive? When you format a disk, the operating system resets the FAT or MFT on the disk so that the MFT is now blank. It also (depending on what options it is run with) can test the disk to make sure all sectors are reliable and mark bad sectors (those that can no longer reliably hold data) as "bad" so that they are no longer used. The reason that you can no longer see and files with Windows is that the MFT is telling the Operating System that the drive letter does not contain any files. Does Formatting My Drive Permanently Erase My Files? The Format command is ofter used as a way of deleting the entire contents of the drive for a fresh clean start. However, there is a big difference between deleting and erasing. A format only resets the MFT, it does not erase the contents of the disk. The files are still located on the disk and can be recovered.